Ordered Pairs may not be a skill required in the lower grades, but it's FUN! Students enjoy the challenge of reading the words (decoding) and matching them with the pictures (vocabulary) and then finding the coordinates (math: ordered pairs) ... AND they learn past tense verbs! 1) Students match the words with the pictures and write the ordered pairs. 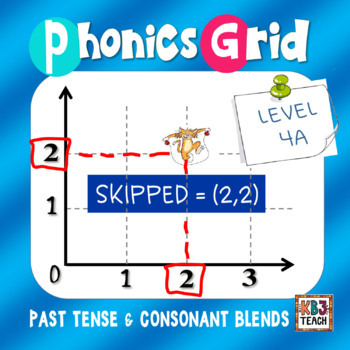 2) Students select three words from the grid (past tense), draw a picture of each, then use the words in context using the sentence-writing template provided. 3) Peer tutors check for appropriate use of past tense verbs. 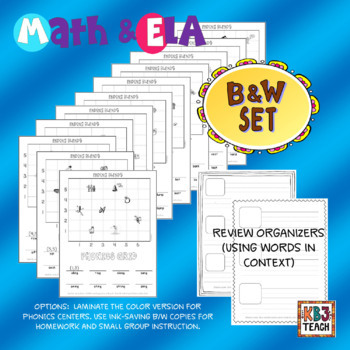 File includes 2 sets (Color & B/W): Print and laminate color set for use during centers. 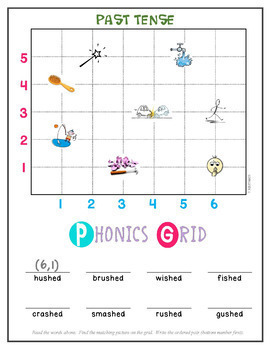 Print B&W worksheets for whole class instruction, homework, and/or small group instruction. Note: Some of the vocabulary in this set is pretty challenging (mended, stubbed, sobbed, dimmed, wilted, trotted, chatted, slumped, sulked). 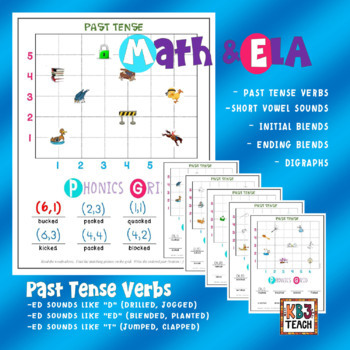 I'm currently working on past tense task cards which should help teach the vocabulary words prior to using these worksheets. Click "follow" above to receive an automatic notification once the resource is uploaded.